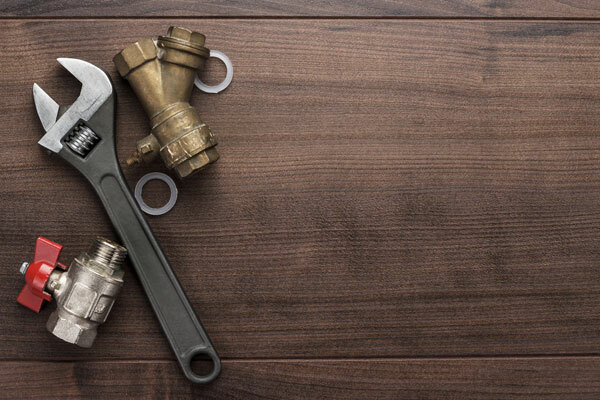 Whether you’re a contractor or a “do-it-yourselfer,” we have the plumbing products you are looking for. Whether it’s installing a new water heater, toilet or installing new kitchen or bathroom faucets we have what you need. We carry brands you know like Moen, Delta Oakbrook. No need to call that plumber. Toilet installation may seem like a daunting task, but all it takes are a few simple tools and a little light labor. Let the experts at ACE show you how to install a new toilet, replace the wax ring, and make other repairs in this tutorial video. Harsh chemical drain cleaners work great for clogged sinks, but the design of a toilet won’t let those chemicals reach your clog. Find out how to properly use a plunger, digestive enzymes, and a plumber’s auger (snake) to clear a clogged toilet without damaging your toilet bowl. Installing a shower head is about as easy as it gets for a do-it-yourself plumbing project. Follow these three simple steps to make sure that you prevent damage to the fixture, get a tight seal, and prevent leaking. We know that fixing a toilet isn’t the kind of glamorous home improvement project that most of us want to tackle, but most toilet problems are easy to diagnose and fix. Whether your toilet is constantly running, refuses to flush, won’t refill properly, or has sprung a leak, follow this step-by-step guide to determine what is causing the issues in your toilet and to learn how to fix it. If your pipes are leaking, you will want to get a permanent repair in place as soon as possible. There are several short term measures available to help stop the leak while you wait for a long term solution. In this video we discuss, fiberglass wrap, epoxy putty, self-fusing silicone tape, repair clamps, and compression cup links. If your pipes are frozen, the best solution is to trigger a gentle thaw beginning at the end closest to an open faucet. Use a hair dryer and a heat reflective surface like a cookie sheet. Follow the instructions in this video to help prevent major damage to your pipes, and also to prevent your pipes freezing in the first place. Even if you empty your lint trap after every load of laundry, lint can build up in your dryer vent, causing your laundry to dry slower or even causing risk of catastrophic fire. Consider cleaning your dryer vent twice per year to help stop this problem. Watch this short video to learn how to clean or replace your dryer vent. The air inside of your house is one to three times more polluted than the outdoor air. If you suffer from seasonal allergies, there’s a chance that you need to invest in a furnace filter with a higher MERV rating. And always remember to clean or replace your filters regularly, in order to save energy and increase effectiveness.